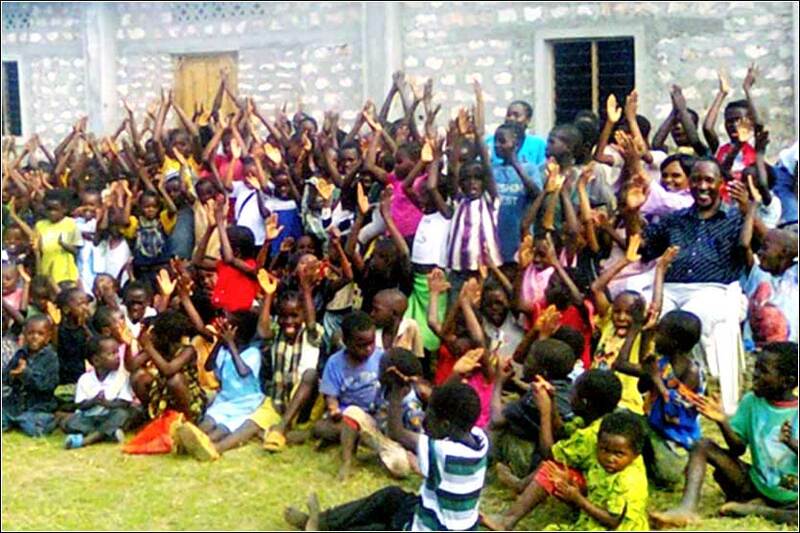 The Iris Mission Children's Church, Mtondia, Kenya. 392 people in our community are currently praying with you. One of the most stirring hymns ever written. 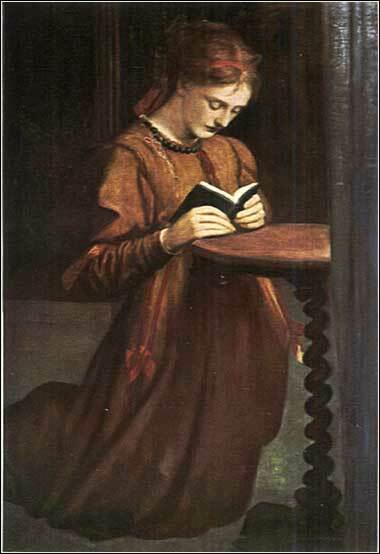 Prayer by George Frederic Watts, ca. 1860. Watts brilliantly captures the simplicity of true spirituality. 5-9You know that we did not flatter anyone, and as God is our witness, we certainly were not motivated by greed. Nor were we seeking glory, from you or anyone else. We were commissioned by God Himself to act as His apostles, but did we strut around full of our own importance? You remember how we acted: as innocent as children, and as full of warmth and comfort as a mother towards her own family, because our affection for you was genuine. And you remember how we labored night and day, disregarding hardship, so that we wouldn’t be a burden to anyone. We gladly gave you not only God’s holy Word, but our own bodies and souls. 7 being empowered in importance to be as of Christ apostles, but we were children 1Alt. gentle. in midst of you. As if wet-nurse 2Poss. mother with the sense of nursing mother. might warm 3By extension, comfort. the of herself children. Paul reminds the Thessalonians that he and his companions did not flatter anyone, and this brief remarks speaks volumes about church life. It implies a message as vital today as it was then. One overall sense we get from this section of Thessalonians is the importance Paul places on being true to God, not only in his general life, but particularly when he preaches the gospel and tries to win others over to Christ. Also, as we mentioned yesterday, there is implied hortatory; he wants the Thessalonians to imitate him in this. He does not want them trying to win converts by any means except total honesty, or with any ulterior motive. The only permissible motive is love, love of God and love for the person being saved. The social and economic aspects of Paul's proselytizing are not readily apparent in the epistle. The most effective way to create a new organization, then as now, is generally to be popular and have people like you, and in particular, to win over rich and influential people. The best way, then, to win over converts to Christianity is to tailor one's message not to offend people and particularly not to offend the rich and powerful. Paul does seek to please people. “I try to please people everyone in every way . . . so that they may be saved.” (1 Cor. 10:33-11:1) Yet, he has just told us, in v. 4, that he speaks not to please people but to please God. ny person who has a leadership role in any Christian organization will testify about the pressure to change, or at least soften, the message of the Bible so that the listeners are not offended. Consider how many churches today bow to pressure over issues clearly stated in the Bible, which are unpopular to peoples' secular values. It was no different 2000 years ago; Paul faced the same pressures we face today. To please others, in Paul's mind, meant submitting ones' person in a service to others, motivated by love. “We gladly gave you not only God’s holy Word, but our own bodies and souls.” It did not mean misstating God's Word, because that would not be an act of love; it would lead the listener away from God which, in Paul's mind, would be perhaps the most hateful thing one person could do to another. Even worse, though, is flattery, for flattery is by definition dishonest. It is exactly the kind of ulterior motive he rails against in verses 3 and 4, which would poison evangelism, even though it would have been a more effective way to increase the size and prestige of the Thessalonian church. In summary, Paul exhorts the Thessalonians (by implication) to give of themselves to please others, as he had done, that they might be helped to find Christ. But he makes two exceptions: God's word cannot be misstated to please the listener, and one cannot use dishonest means, such as flattery. Psalm 94:12: Blessed is the man You discipline, O Lord, The man You teach from Your word.